At Washington Cold Storage, we’re pretty good at keeping products fresh on our end before they get to market. But what about after you’ve bought and bagged your groceries and brought them home? 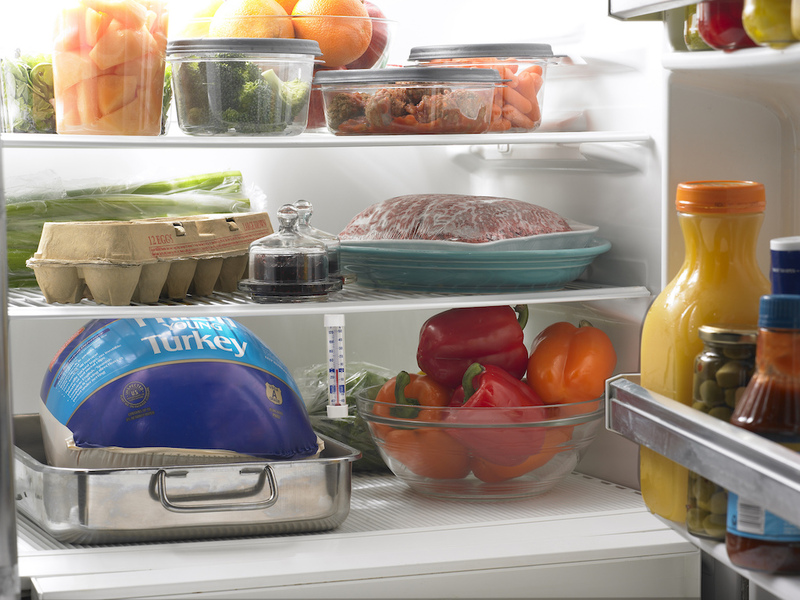 Out of sight, out of mind: try to keep foods that spoil quickly in visible, easy to reach parts of your fridge. Berries and green, leafy veggies are quick to go bad so have them ready to grab and use within a couple days of purchase. The drawers of the fridge are best used for cheeses, sauces, deli meats or other items with a longer shelf life that are okay to remain unused for a longer period of time. Wait to wash: Waiting to wash veggies and fruits until they are being prepped for use is the best way to keep them from spoiling prematurely. Moisture and oxygen are the enemy to produce so keeping them sealed and dry can extend shelf life. Some may even prefer to put all fresh produce into glass containers with a paper towel or ethylene absorbing gadgets (like the Blueapple) to further slow the ripening and spoilage of produce. Sort it out: Keep meats and dairy products in the coldest parts of the fridge to extend their life. While it is tempting to put these items on the bottom of the fridge or in the door the coldest parts of the fridge are on the middle shelf and toward the back. Although this will vary slightly depending on the model of refrigerator you use, some older models have the colder air coming from the top of the cavern making the top shelf the colder area. See this video put out by Consumer Reports for more a visual example of sorting the food in your refrigerator by type and location. Keep it separate: keeping foods separated by kind helps with cross-contamination. Any meats should be kept on plates or in leak-proof containers so that any unforseen spills or leaking of juices doesn’t contaminate other foods. Some fruits and vegetables will also spoil faster if exposed to other produce, the proverbial “bad apple” can spoil the whole batch. Common mistakes: Some items that are commonly refrigerated taste better and last longer when left out of the refrigerator including apples, potatoes, onions and garlic, which are best stored in a cool dark place. And, bananas, peaches, bell peppers and tomatoes which should be kept on the counter until ripe and then used promptly. Keeping to these guidelines will help with slowing the pace of foods spoiling, but nothing works better than having a plan for the use of each food that you purchase. Careful meal planning, list making, and implementation are the best way to ensure that you are using and enjoying each item that you purchase. Less waste in this area is best remedied through preparation and follow-through.